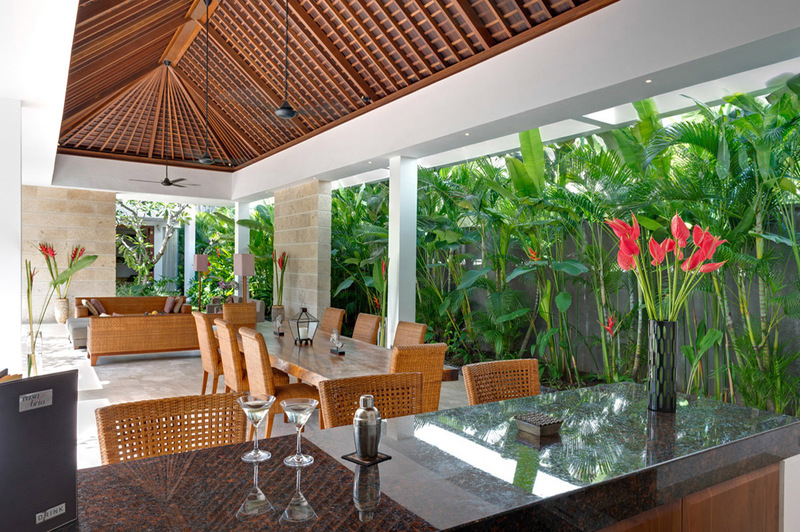 From $ 1,072AUD per night We have direct contracts with most villa owners. We don't add any booking fees. We are 100% transparent with no nasty surprises. 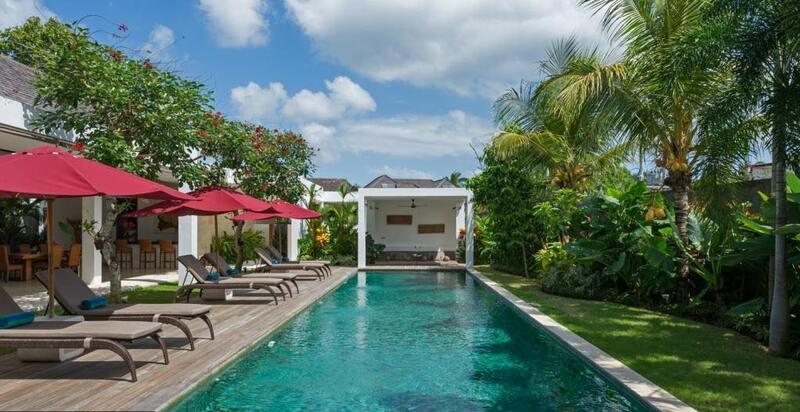 Close to 'Eat St' in Seminyak - rent this now! 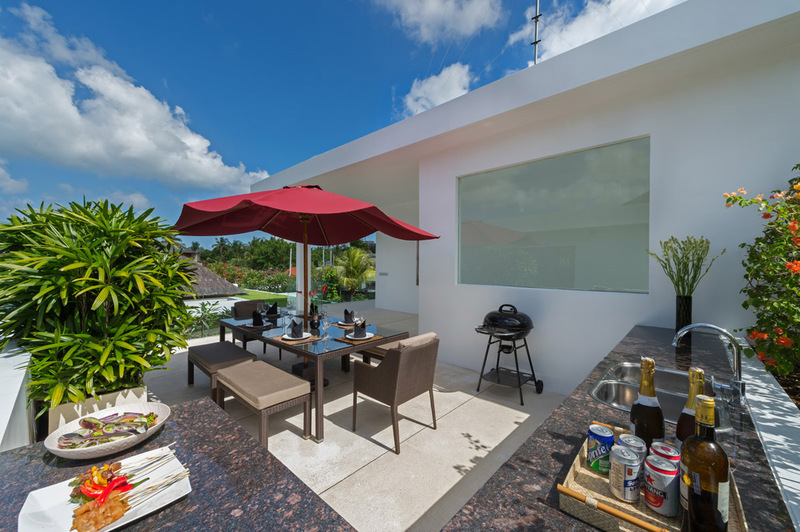 Family friendly villa in a prime location that you have to see to believe – you even get you own private butler & full time chef! 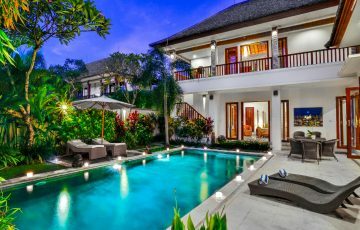 Villa Casa Brio is a 4 bedroom Seminyak holiday villa rental & captures the essence of luxury tropical living at its finest. 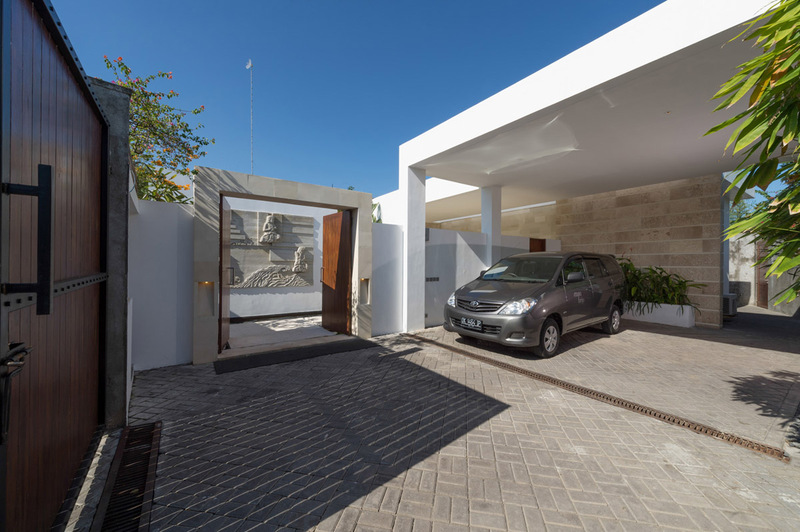 A combination of natural materials and contemporary design, the villas architectural ethos is derived from its Italian name; ‘Brio’ meaning ‘life & energy’, evident in the villas living areas filled with natural light. 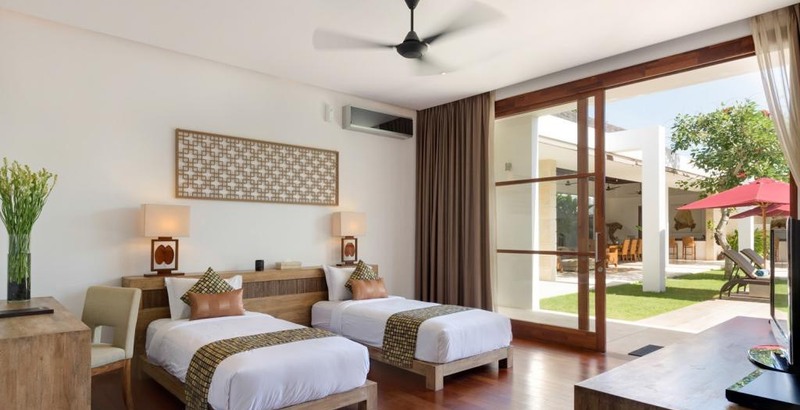 The villas location along the up-scale Petitenget strip means you can easily walk to the beach as well as some of the best tourist attractions and restaurants including Ku De Ta, Potato Head, Sarong and Metis. 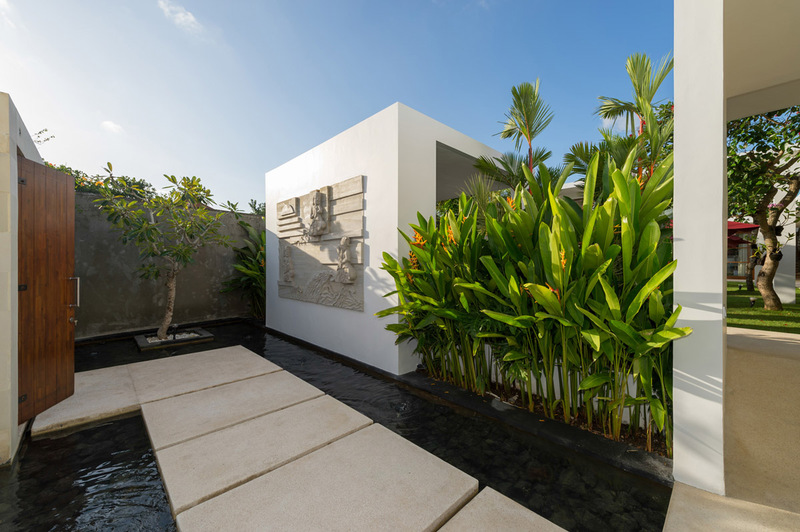 There is ample space to relax and unwind in the gardens at Casa Brio, the outstretched pool runs alongside the open-air dining pavilion with a generous timbered pool deck, lined with sun loungers, red parasols and dainty frangipani trees. 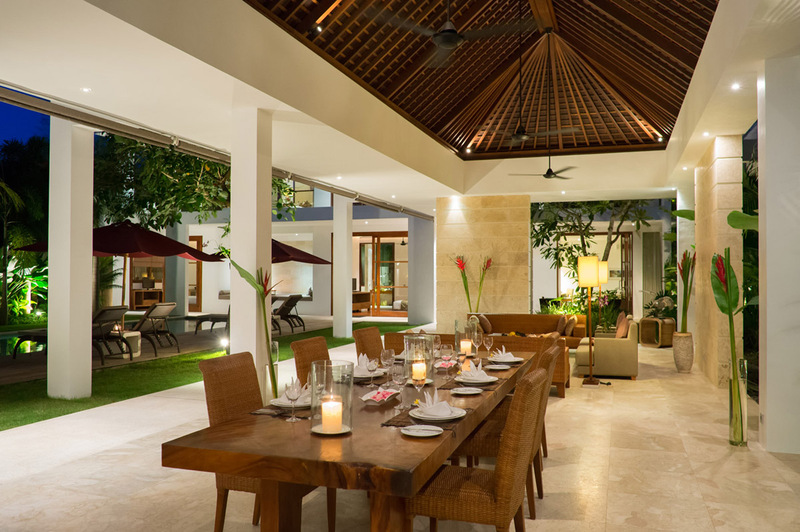 The poolside gazebo provides shelter from the tropical sun and the open terrace upstairs, the opportunity to enjoy an intimate evening BBQ dinner together, al-fresco style! 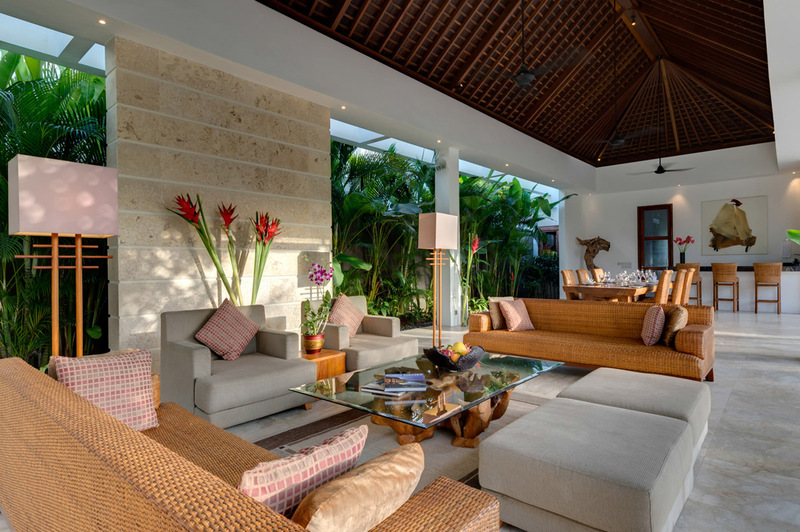 The open-air lounge and dining pavilion at Casa Brio is a pure delight, hand crafted rattan furnishings combined with its marble floors and unconfined spaces allow for tropical breezes to gently flow through. 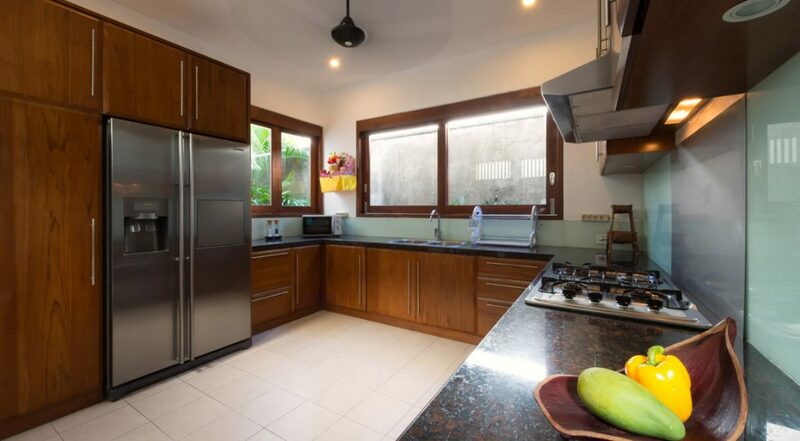 There is a large dining table under cooling ceiling fans and a cocktail bar, while the kitchen is discretely tucked away out of site with all the appliances and utensils to cook up casual snacks to formal dinners. If you prefer some air-conditioned comfort the media room has Satellite TV/DVD, iPod dock, library and work desk along with plenty of comfortable sofa space. 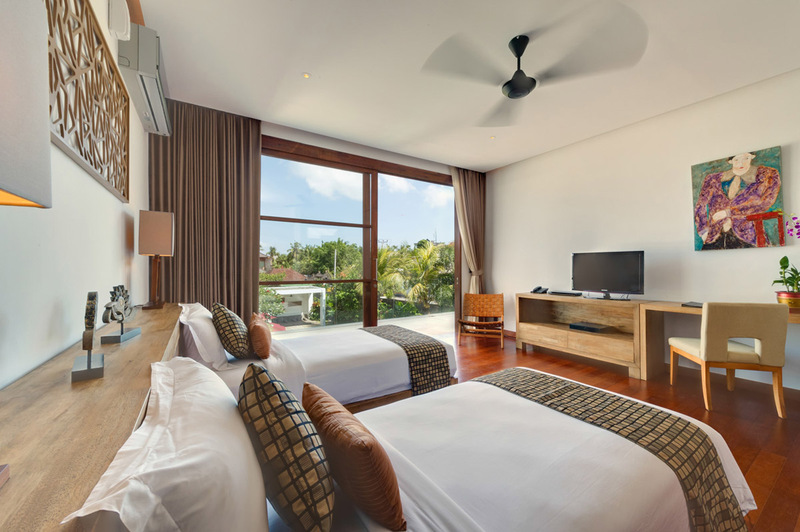 The villas four bedrooms accommodate up to 8 guests with solid timber floors, pristine white walls and hand crafted timber beds. 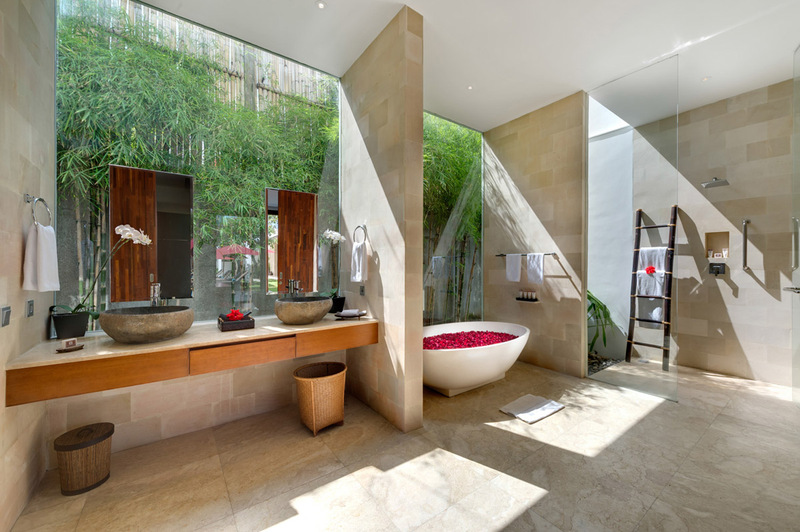 There are two Master suites with king size beds, one on each level of the villa. 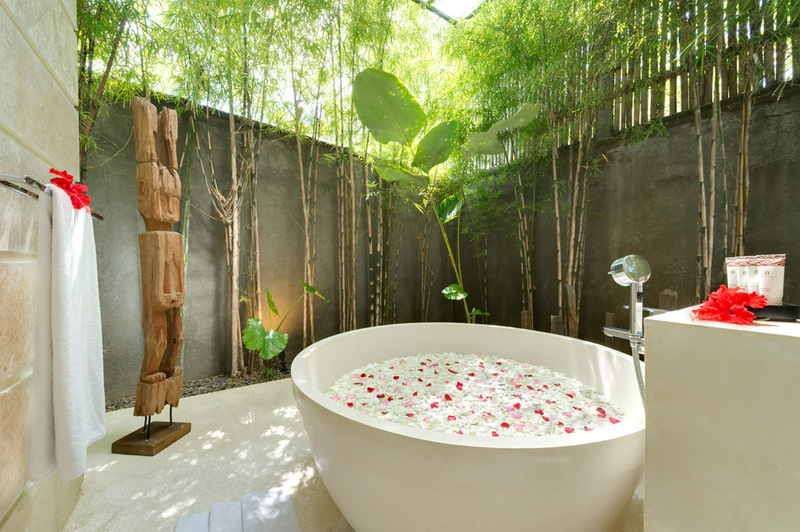 Both with private en-suites feature soaking tubs, rain showers and his/her vanities. 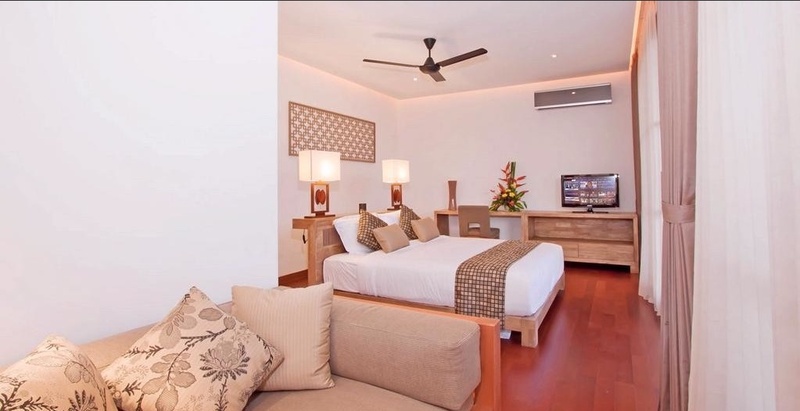 Two guest suites on each floor offer twin singles easily converted to king size beds should the need arise. 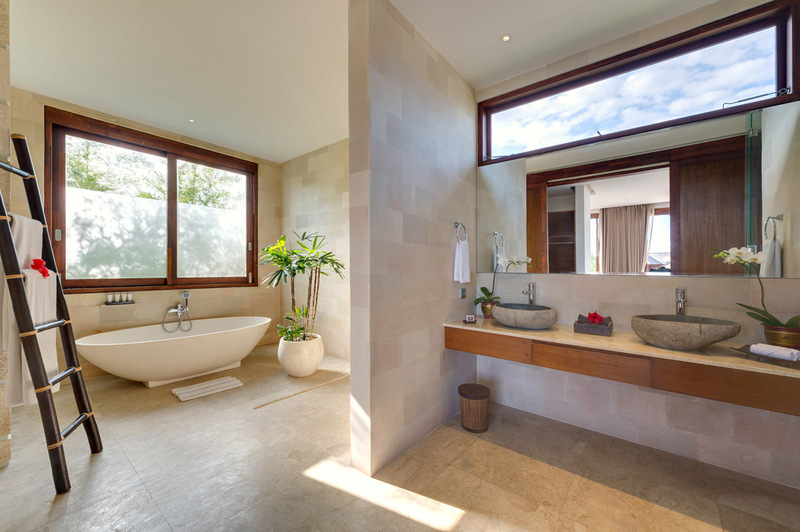 The en-suites also feature the same luxurious amenities as the Master suites. 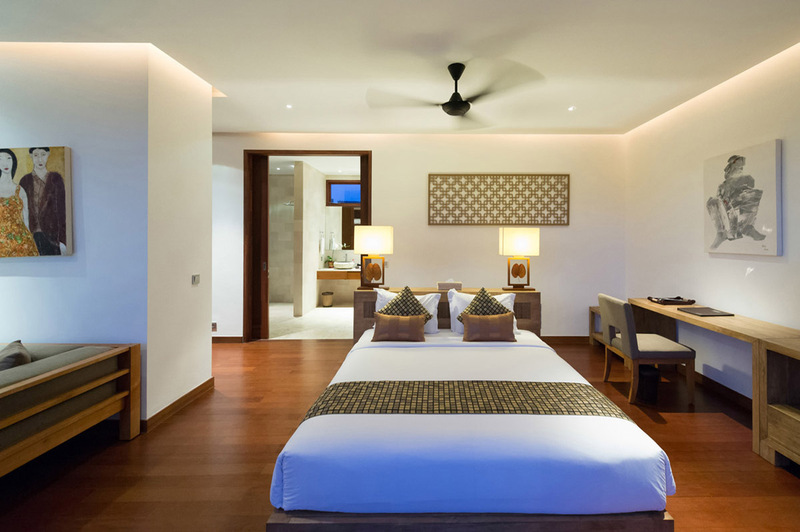 The villa manager will be on hand upon your arrival to make sure you settle straight in and answer any questions; he is always contactable for any inquiries. 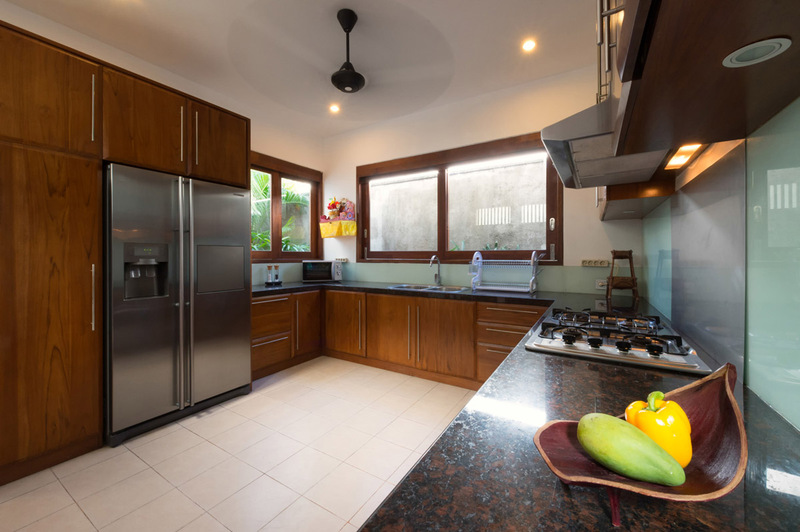 The villa has a private chef as well so don’t hesitate to ask him to prepare some Asian or International cuisine for breakfast, lunch or dinner. 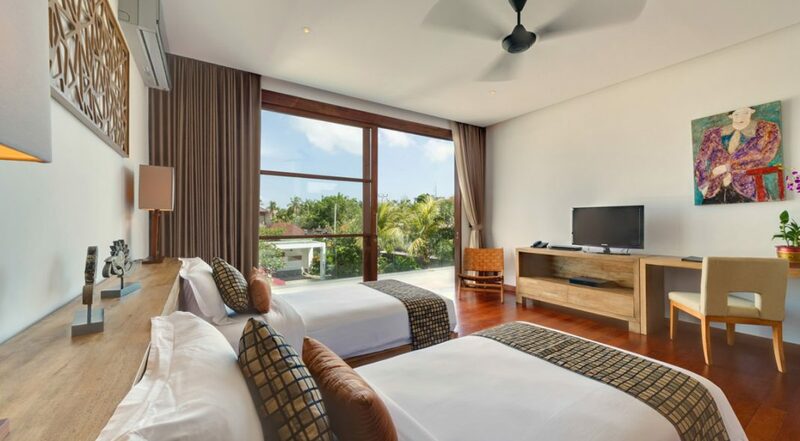 The villa truly offers a prime location, guests can easily walk to the best restaurants and Beach Clubs also suitable for children including Potato Head, Ku De Ta; a little more stylish, Sarong; and Metis; a world unto its own in fine dining cuisine. 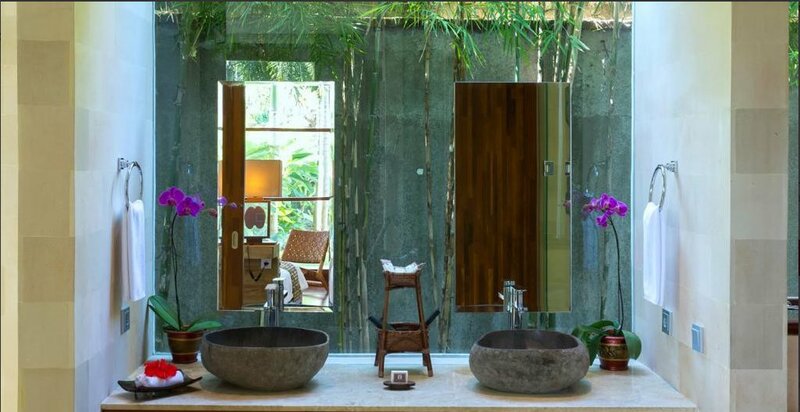 There are plenty of great yoga centres, day spas and gyms such as Daily Gym with one time and weekly packages. 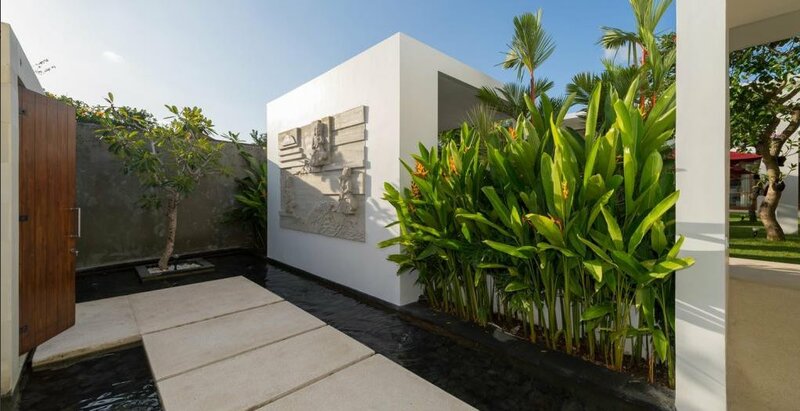 The waves at Seminyak/Petitenget beach are around a 5 min stroll from the villa, the kids can take a surfing lesson while you bury your toes in the sand under an umbrella whilst enjoying a shoulder massage or simply enjoying a cold drink. 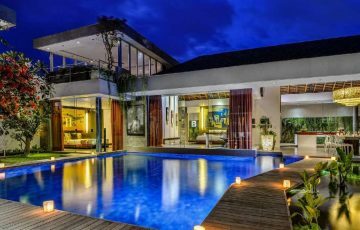 If you want to holiday in one of the best areas in Seminyak, where your close to absolutely everything, then Villa Casa Brio is perfect! 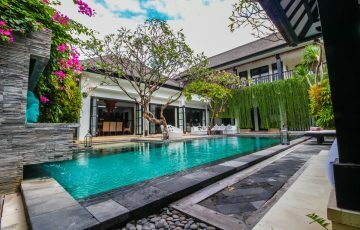 To view other gorgeous Seminyak villas to rent or our full range of Bali villas please browse this website or contact our reservation team. 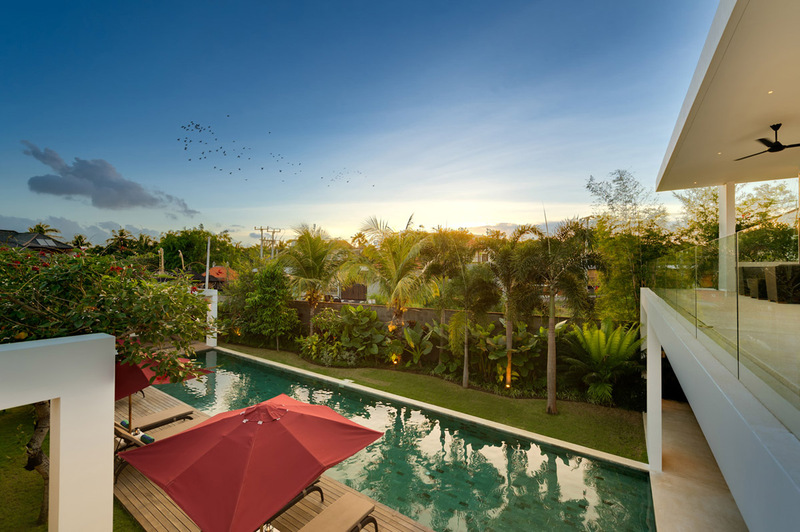 This is a popular Seminyak holiday villa so if your planning a trip to Bali, especially during the Australian school or public holidays please book Villa Casa Brio well in advance. 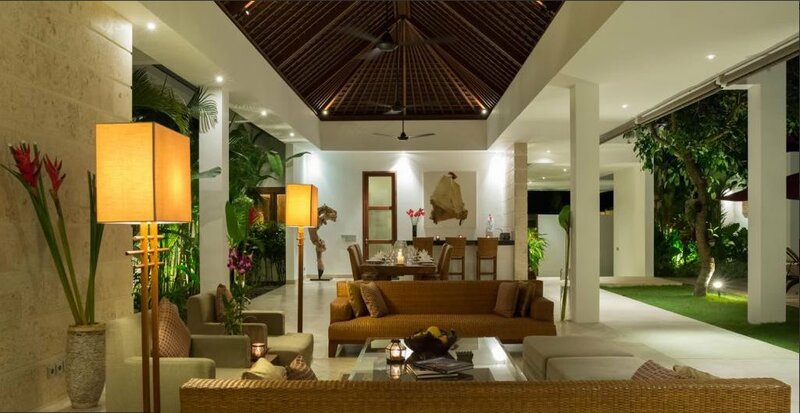 We stayed in this gorgeous villa for 2 weeks with ourselves and another family. For a group holiday this was the perfect setting, the best location and great value. 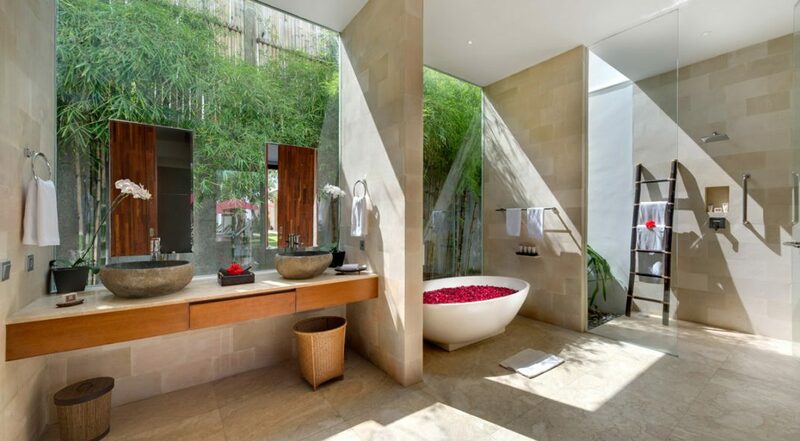 If you want to be really pampered then I suggest staying at Casa Brio. You will love the attentive staff and the fabulous pool. 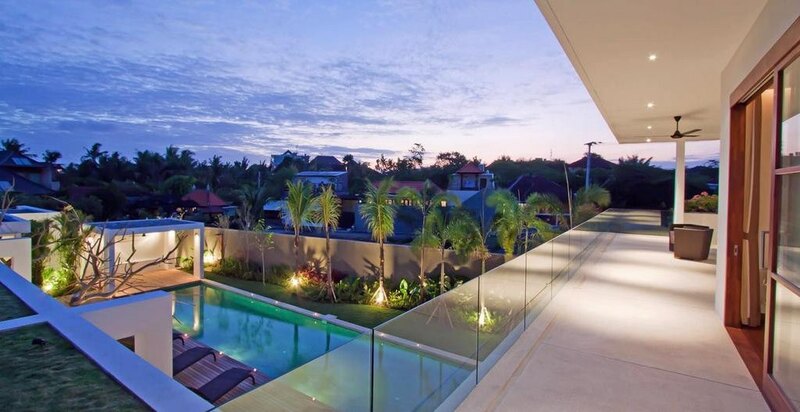 What a sensational villa. To be honest I can't remember how many people Ive raved on to about this place, but all my friends know about it. Such a cool family holiday and I just wanted to stay here for another week - already booked for next Easter!! 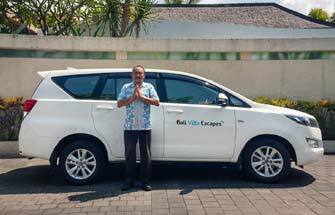 Just want to say thanks to the reservation staff at Bali Villa Escapes for recommending Villa Casa Brio. It was our second choice but we are so happy we got it. Kids had the most incredible time in the pool and we loved the open tropical ambiance. Staff were so friendly and were there every day to greet us and make us feel so welcome. The photos are good but once there you'll get a much better idea of just how wonderful and modern the place is - give it a try - trust me it's so worth it - 10 points all the way!! The thing that stands out most about Villa Casa Brio is the size. It's really a very large villa which was perfect for our group of 6. 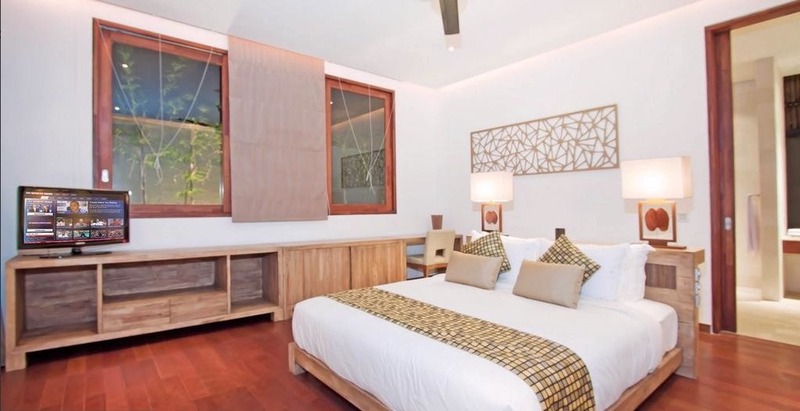 On top of that you have a really handy Seminyak location which was great as we all like to go out at night and have a few drinks with our meal. 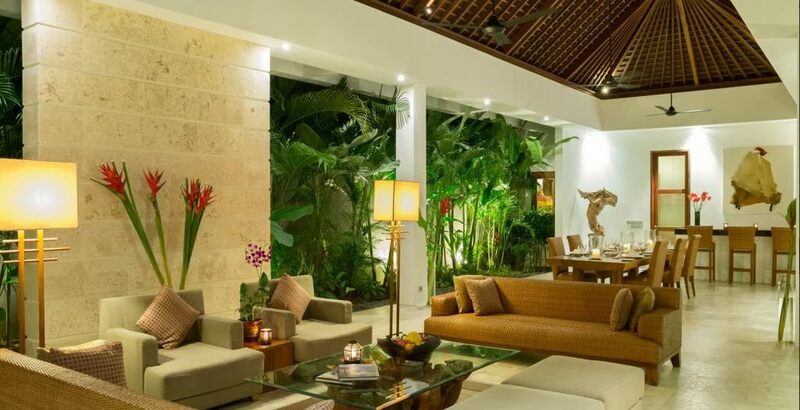 The villa has a luxurious ambiance that translated right through to the staff who could not be more helpful. Overall, love the place and I hope that we can come back here again. It's a terrific experience. So happy we stayed here! We especially loved the location. You couldn't be any closer to Eat Street. A real winner! This was our second time staying at Casa Brio & we love it.